TIRED OF STRUGGLING WITH ACNE? DO YOU KNOW WHY CREAMS & FACE WASHES AREN'T COMPLETELY CLEARING YOUR ACNE? 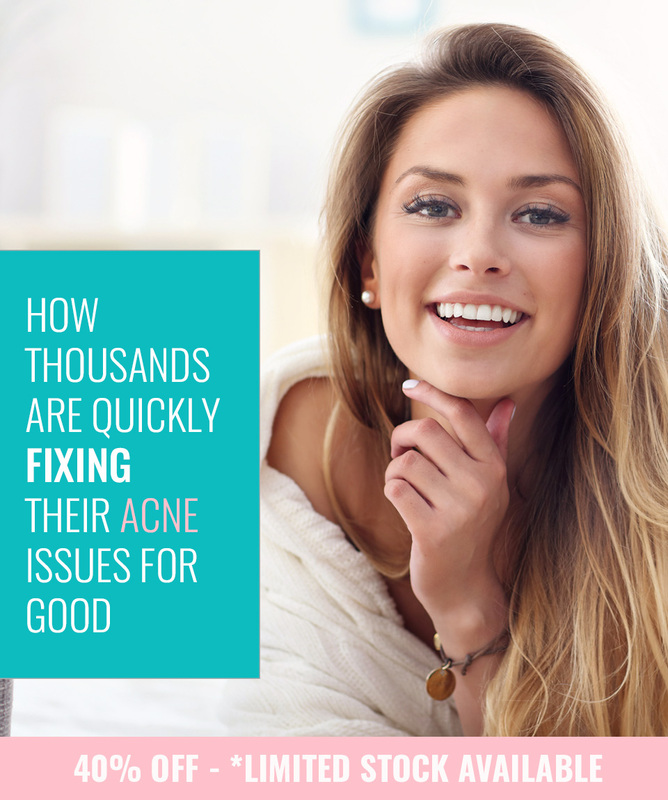 It's because acne can form weeks before it appears, and they don't attack the root cause of the acne. Acne is often perceived as a surface level issue, but it actually begins deep below the skin’s surface. Acne develops from a combination of two things. A blocked hair follicle in layers under your skin’s surface, and a build up of Sebum (oil secretion from your pores glands). 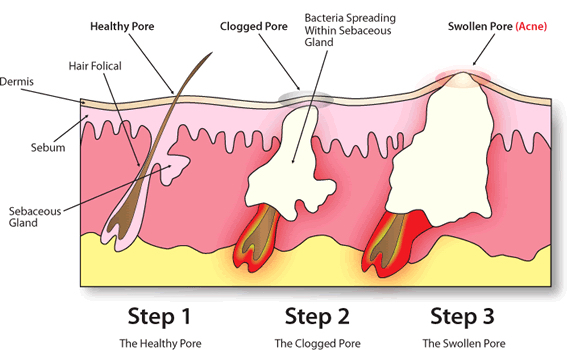 These two conditions cause the pore to become clogged & infected, in the form of a pimple. 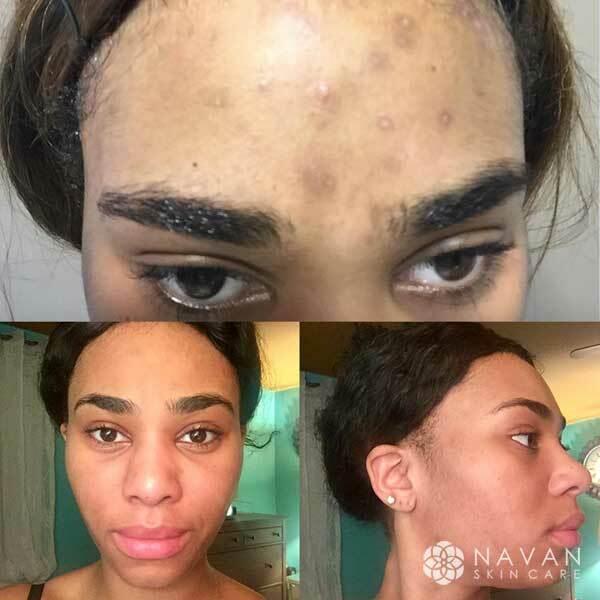 Most acne treatments aren’t a complete solution, only slightly reducing acne so you feel a little better, but never truly healing your skin and preventing acne. As your skin adapts to your daily cleans treatment, your acne comes back. The missing piece of the puzzle is a supplement that breaks down Sebum and keeps acne at bay. Sebum is the food acne feeds on to develop. Too much of it and acne flairs up in an instant. It comes from an imbalance (over production) of hormones in your body. Which is why acne is so frequent among teenagers during puberty. TrueClear’s powerful formula brings hormones into balance, targeting the hormone producing glands that produce oils that cause acne. Toxins in our body are another root cause of acne. They come from the foods we eat, beverages we drink and the air we breathe. Our bodies don’t pass these toxins easily, and often store them in our skin. TrueClear detoxifies and cleanses your body & skin of these toxins from the inside. As these toxins are removed from your body, you’ll see a difference in your skin almost immediately. TrueClear has been formulated to strengthen your skin and protect it against acne now, and in the future. The essential vitamins, minerals and herbal supplements in TrueClear were carefully selected to heal and strengthen your skin. Giving it a healthy and clear look that is free from acne, and smooth to the touch. There’s no better way to treat acne, than with vitamins & minerals. When I ordered it online, I bought the 3 month supply because HELLO the savings (40% off!!) were too good to pass up. I also wanted to make sure I gave the vitamins plenty of time to work. I didn’t want to get my hopes up and tried not to have too much of an expectation in case they didn’t work like the countless other products I’ve tried. I wanted to start slow, so I only took 2 capsules a day for the first 7 days. Hoping for the best!! Still at it! I can tell the vitamins are really working because they’re pushing my old breakouts to the surface. My skin hasn’t started clearing yet, but fingers crossed that in a couple of weeks my breakouts will be long gone! I increased my dosage to 3 capsules a day now in hopes for quicker results. I’m finally starting to see the first signs of results I think! My breakouts are finally healing and becoming less frequent. I also increased my water intake a few days back which I think has helped as well. I HAVEN’T GOTTEN A NEW PIMPLE IN DAYS! *Happy Tears* I’m so glad I stuck it out and didn’t get discouraged in the first few weeks. Everyone is complimenting my skin and let’s be honest, that’s never happened before! It feels so good to actually be confident and not have to wear makeup every single time I leave the house. I still have one more bottle of vitamins to take, but I actually plan on reordering here soon because I can’t imagine living without them! The results came just in time for my upcoming girls trip to Mexico. Now I don’t have to feel insecure in tank tops and swimsuits with my shoulders showing because it not only cleared my face acne, it also cleared up the breakouts on my back as well!! I just ordered a 4 month package to keep going! We created TrueClear with top dermatologists with you in mind to offer a safe and effective Acne treatment that works. One that is more powerful and safer than prescription acne treatments. How? We harness the power of natural vitamins & antioxidants instead of dangerous chemicals that have countless side effects. Vitamins have been used to clear & strengthen skin for centuries. We perfectly blended these vitamins and minerals that are proven to clear your skin and stop acne before it starts. Specially formulated to create an internal defense against acne breakouts, our proven formula creates clearer, healthier looking skin by stopping acne before it begins. 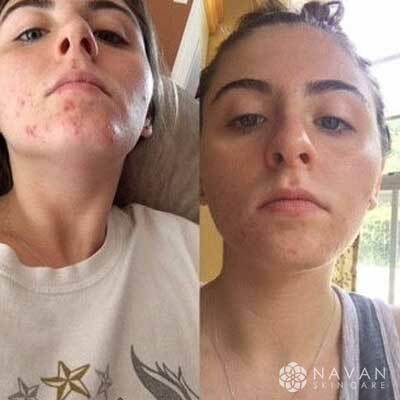 "I just wanted to say that your product has worked a miracle on my face. I've been using it for only 7 days and I see a huge difference..."
Hi! I want to say that your product changed my life! Here are my before and after pictures after only a month of taking the TrueClear pills. 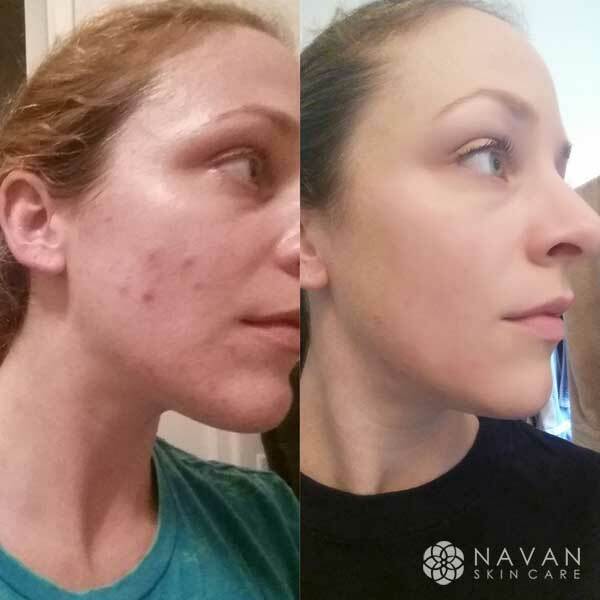 What amazing results in just a month! I am so happy and confident now, my acne was such a confidence killer! 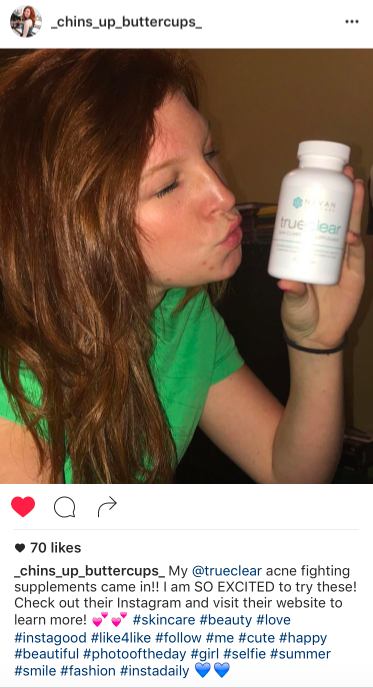 "TrueClear is seriously amazing, and has actually helped clear my skin. I love it! As you can see, the difference is amazing. So glad I found these :)"
"As a model, I need clear skin. 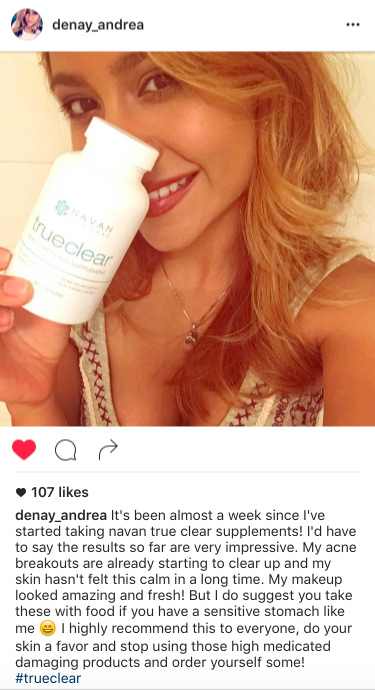 TrueClear helps give me confidence knowing I won't get a random breakout before a photoshoot." "I was skeptical at first. But after doing a ton of research, I gave TrueClear a try, and I couldn't be happier. I give this ALL the credit for my clear skin. 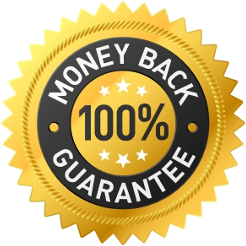 Rest assured, TrueClear is backed by our 60-Day 100% Money Back Guarantee! We're that confident you'll love it. Try it out for 60 days and if you're not satisfied, we'll refund you - no questions asked. See Results As Soon as Four to Six Weeks! "I normally known for my beautiful skin. I'm a makeup artist and always take care of my skin, use the right products and take all the necessary steps to make sure I don't break out. Sometimes that is not enough. Once before right now I experienced horrible cystic hormonal acne out of no where. The frustration was extreme because I do everything I'm supposed to. It cleared up on its own as hormonal acne does. 2 years later here we go again. I saw a lot of adds for this product and after doing/trying everything I thought I'd give it a shot. I'm obsessed!!!!!!!! It's going down and down and now I don't even have any actual acne.... this is after 1 month. Now I'm just working on the left over red marks/scars but the satisfaction of not having painful, cystic, embarrassing hormonal acne is amazing. 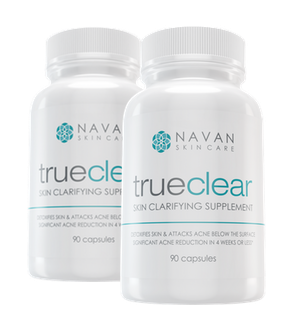 I don't think I will ever stop taking these Navan true clear supplements." "I've tried quite a few different products for my face, but have yet to find one that worked as well as this has for me so far! I'm two weeks in and I absolutely love it! 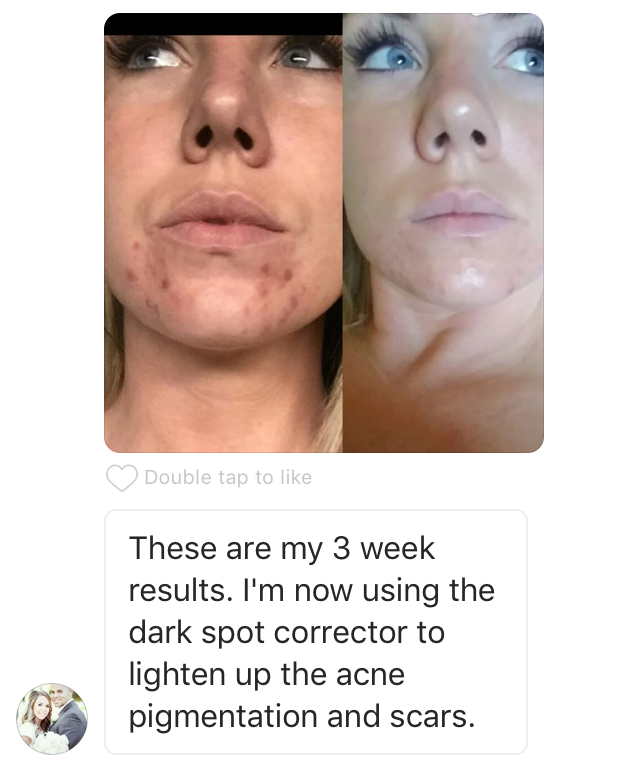 I don't really have much acne, but I do consistently have a few pimples and this has cleared that up for me!" I was skeptical at first. But I went ahead and bought it anyways! I take 1 pill in the morning and 1 at night and started noticing a change in my skin just from the second day! It's amazing. I ordered 2 bottles so when I'm done the first bottle I'm going to then move on to having 3 pills a day one extra in the afternoon and can't wait to see the end results! I see my.skin improved too! I've only been taking this supplement for about 4 weeks and so far I'm happy with it. I think it's too early to tell if it's completely saving the day but I do notice my hair, skin and nails feeling stronger as a whole. My acne is clearing up.. slowly but surely! "I'm using this in conjunction with a topical treatment (not an antibiotic) prescribed by my dermatologist, and have noticed a reduction in the severity of the hormonal breakouts I usually get around that time of the month (which the topical previously didn't do much for) - I think that means it's working!" What does TrueClear help with? 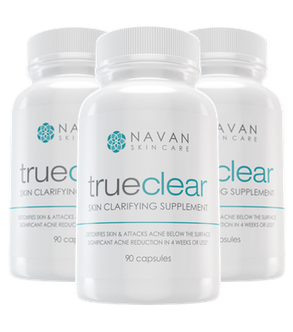 TrueClear is effective against persistent acne, zits, cystic acne, blackheads, inflammation, and even body acne. It really is for everyone. We have customers who take it to eliminate blackheads and others who use it to stop severe acne. 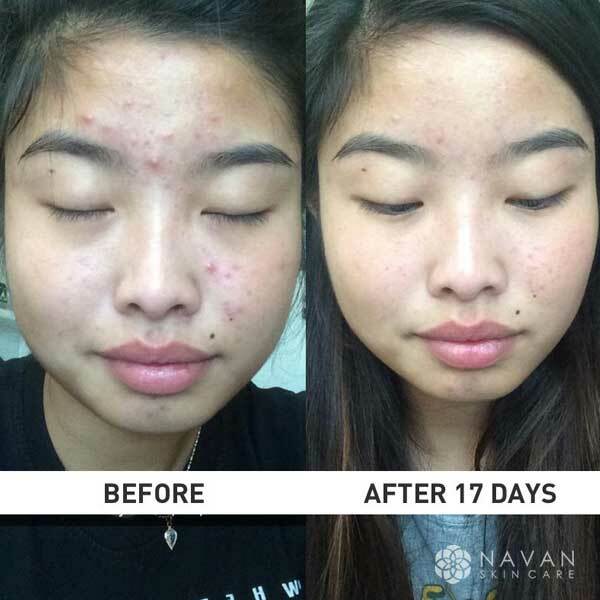 Does TrueClear help with hormonal Acne? production that can cause hormonal Acne. Is TrueClear okay for sensitive skin? Absolutely! TrueClear doesn't contain harsh chemicals that dry out your skin or cause irritant, so this is the perfect treatment for those with sensitive skin. Does it work for severe acne? TrueClear was formulated for individuals with all forms of acne, from severe to moderate. Those with severe acne will take a higher dosage (4 pills per day) and those with moderate take a smaller dose (2 pills per day). Does TrueClear work for everyone? Based on the amount of TrueClear users, it works for around 97% of our customers that follow the recommended daily suggested dose. Will it work on my neck, chest and back? It will! 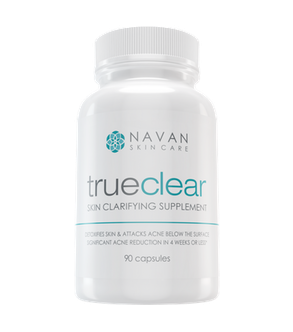 Since TrueClear attacks acne from within, it is a full body solution to clearing and stopping acne. Is TrueClear safe while nursing or pregnant? Although everything in our TrueClear formula is natural vitamins & herbs, we actually can't legally recommend any vitamins or supplements while pregnant or nursing. Your Doctor should be consulted before taking any vitamins or supplements while nursing. 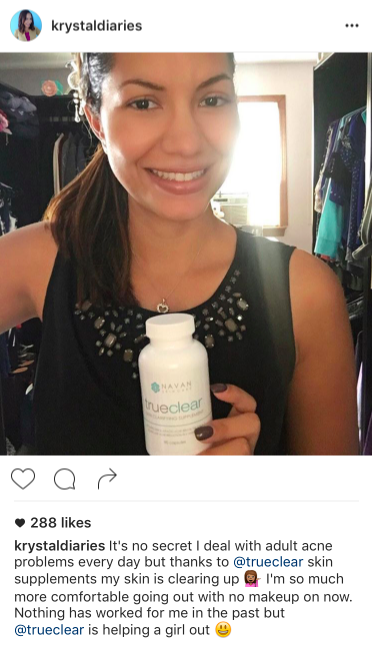 Does TrueClear work on Adults? You bet! Adult Acne is common, and we have thousands of happy adults who are clearing their skin with TrueClear. There are no side effects! We approach acne differently with a safe, pure product formulated from the highest quality all-natural ingredients. Giving your skin the essential nutrients it needs to clear itself of current blemishes, and the tools in needs to keep them from coming back. Will this eliminate all of my acne? In reality, no product or face wash can promise to get rid of every last pimple. But we do guarantee that your skin will be clearer in 4 weeks or less or your money back! Each bottle lasts 1 Full Month! You'll take just 3 capsules today to see amazing skin clarifying results. Ready to start your clear skin journey? Join thousands of women & men around the world using the natural nutrients in TrueClear to clear their skin, and win back their confidence. Results will vary.All photos of before and after are actual TrueClear users,. 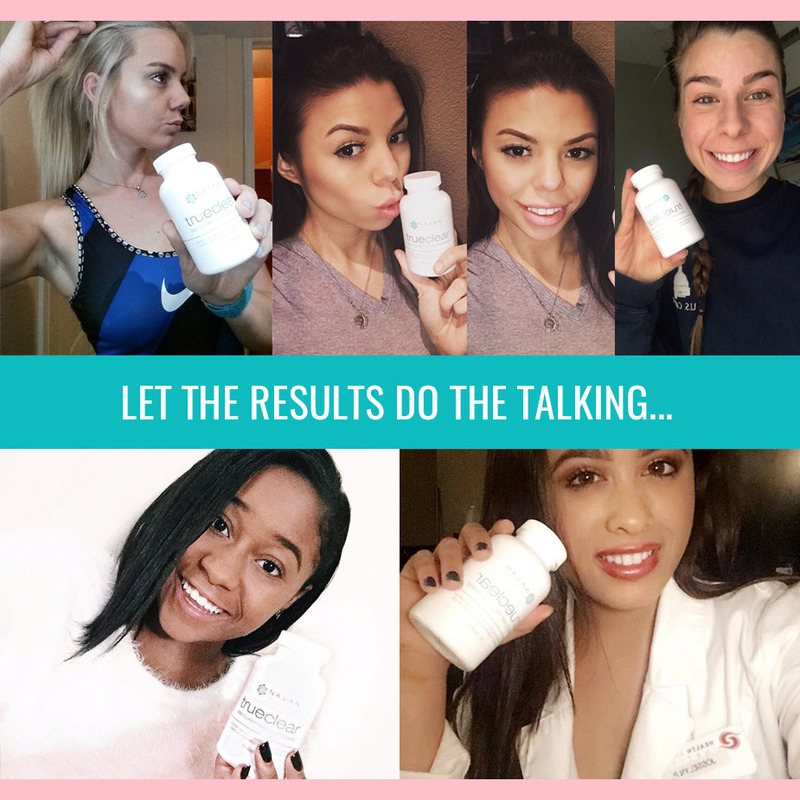 We do not promise or guarantee all users will experience identical (or equivalent) results to those portrayed in the results photographs. 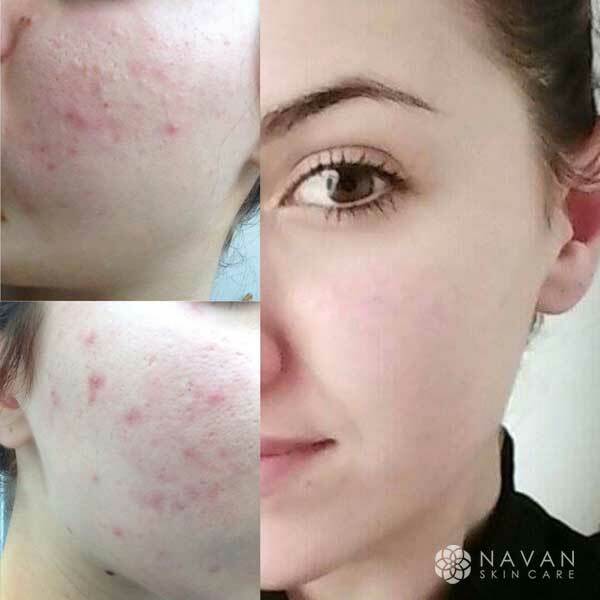 All opinions expressed are strictly the views of the poster or reviewer, and not Navan Skin Care.